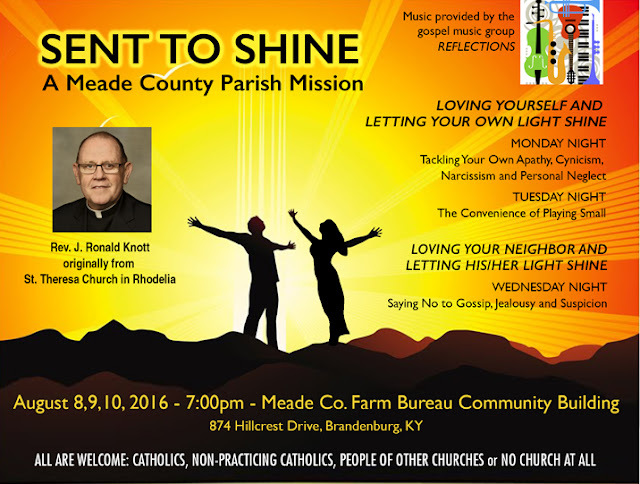 Thanks to all who joined us for “Sent to Shine” with Rev. J Ronald Knott. Below are some pictures of the event that were shared by Rev. Knott on his blog. View the blog here. You would not believe the food the various parish members brought for people to enjoy at theend of each night’s program. Amazing!